Description - Need carpet for your basement or spare room, but need something durable and comfortable? Then look no further than Shaw's In Harmony carpet. 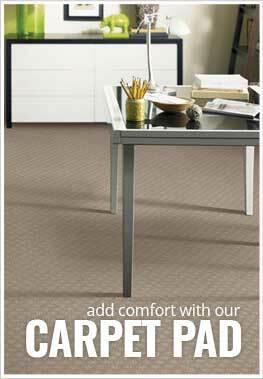 This broadloom carpet is available in several multicolored neutral tones that help to hide dirt and traffic. Resistant to staining, wear, soiling and mold make this carpet excellent for any room in your home or business. A 10-year warranty backs this carpet, and it is made in the USA. Recommended Uses - Shaw In Harmony carpet is the perfect floor for any room in your home or business and is commonly found as flooring in home offices, in family rooms, as basement flooring, in offices, as dining room flooring, in bathrooms, as flooring in churches, in living rooms and much more. Great as bathroom or basement carpet. Stain, soil, mold and wear resistant.